It’s official. I published an article in the peer-reviewed journal The Hague Journal of Diplomacy. 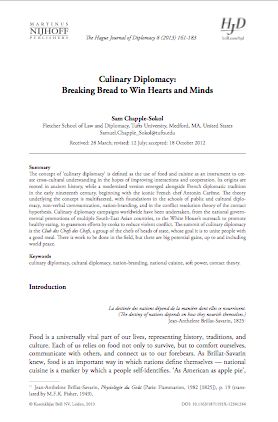 It is called “Culinary Diplomacy: Breaking Bread to Win Hearts and Minds,” published in HJD Volume 8:2 (2013). Here is the link to the Journal’s official website. You can download the article for $30 + tax on the site, or you can just click here for a free copy. 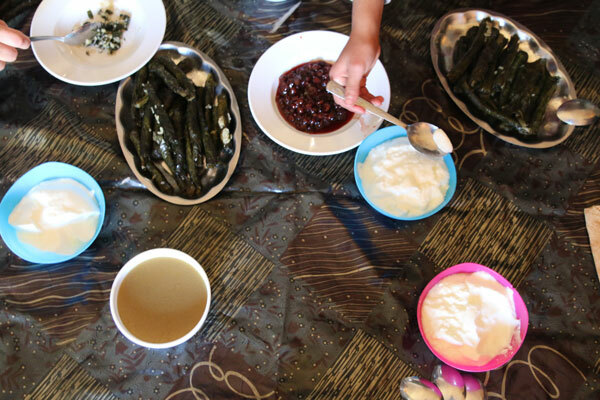 The concept of ‘culinary diplomacy’ is defined as the use of food and cuisine as an instrument to create cross-cultural understanding in the hopes of improving interactions and cooperation. Its origins are rooted in ancient history, while a modernized version emerged alongside French diplomatic tradition in the early nineteenth century, beginning with the iconic French chef Antonin Carême. The theory underlying the concept is multifaceted, with foundations in the schools of public and cultural diplomacy, non-verbal communication, nation-branding, and in the conflict resolution theory of the contact hypothesis. 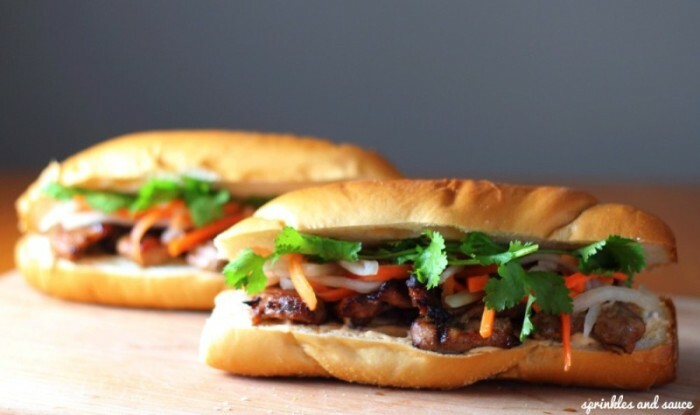 Culinary diplomacy campaigns worldwide have been undertaken, from the national governmental promotions of multiple South-East Asian countries, to the White House’s outreach to promote healthy eating, to grassroots efforts by cooks to reduce violent conflict. The summit of culinary diplomacy is the Club des Chefs des Chefs, a group of the chefs of heads of state, whose goal it is to unite people with a good meal. There is work to be done in the field, but there are big potential gains, up to and including world peace.